Doughnut holes are bite-sized doughnuts which are traditionally made from the dough taken from the center of ring doughnuts. It is one of the desserts that we love to eat especially for kids which they enjoyed so much in different coatings and fillings. Today, I'll be making the basic doughnut holes. 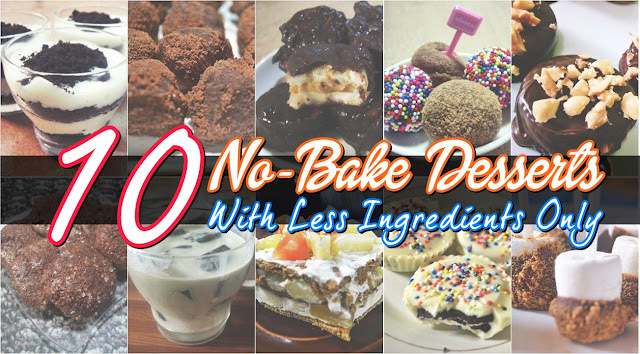 There would be a follow up recipe/tutorial as we add our simple doughnut holes with different flavors and fillings. In a strainer, add the cake flour and baking powder. Tap the strainer into a bowl until all the powder is filtered. In another bowl, slightly beat the egg. Add the sugar and slightly beat again. Then add the milk and the oil and mix it all together. Make a 'hole' at the center of the dry ingredient bowl (cake flour & baking powder bowl) and carefully pour the wet mixture. Mix it from the center to the side until all the ingredients are carefully mixed. Heat a deep-frying pan in a low heat only. Put some oil enough for the mixture to float when added to the pan. Add a half-spoonful of the mixture to the pan. Cook it for about 3-4 minutes or until slightly brown. Serves 15 pieces of Doughnut Holes.